Yubraj Giri was cycling home after visiting friends in western Nepal when he was stopped by government soldiers, blindfolded, handcuffed and kicked unconscious. It was April 2004 at the height of a communist insurgency raging through the countryside, and this was the first of more than 100 beatings Giri would endure from security forces who accused him of being a Maoist spy. "Every day they would torture me in the evening and in the morning for seven months," said the 29-year-old, once a fit, strong farmer but now unable to work. "Many times they took me to the jungle, half-buried me in a pit and threatened to kill me." Giri's story forms part of "The Resurrected", a chilling new documentary by Kathmandu-based film-maker Ganesh Pandey, who set out to put a human face on more than 9,000 instances of human rights abuses during the 10-year conflict. A farmer from a small town on the Indian border, Giri says he was locked in a tiny, dark, mosquito-infested cell at an army barracks, beaten and told he would be taken into the air by helicopter the following morning and thrown out. "In the evening eight or nine army men came and tortured me. After severe torture I fell unconscious, he said. "They asked my name, where I lived, how long I'd been involved with Maoists, where the Maoist camps were, who was living with me, which leaders had visited me and where the arms were kept." Over the following months he was frequently told he would be killed and was forced at gunpoint to write confessions stating that he was a Maoist and wanted to surrender. His punishment would include beatings with plastic piping or a wooden club and his torturers liked to hold him against huge blocks of ice and stick needles into his back, his chest and underneath his toenails. Giri believes he was tortured about 100 times and now suffers from persistent headaches and dizziness, depression, anxiety, pain in his joints and spinal osteoarthritis. Last year the United Nations, satisfied that he had been the victim of serious rights abuses, urged Nepal to investigate his case and compensate him for his treatment, but no one has been prosecuted and he hasn't received a single rupee. A UN report released in October documented thousands of cases like Giri's perpetrated during Nepal's civil war, which had claimed 16,000 lives by the time it came to an end in 2006. The 233-page "Nepal Conflict Report" criticises Nepalese authorities for failing to bring to justice perpetrators of "more than 9,000 serious rights violations" on both sides during the conflict. "The Resurrection", which cost 30 million rupees ($350,000) to film in rural locations across Nepal, challenges the Maoist-led administration's dismissal of the report as "irrelevant". In one disturbing scene Jagdish Yadav, also of Samshergunj, lifts his shorts to reveal horrific scarring on both legs before recounting how he was punished by Maoist fighters who suspected him of collaborating with the Nepal army in 2002. "They tied my hands behind my back, shoved me to the ground, put a log behind (my legs) and started hitting them with a hammer and an axe. "They hit my leg twice with a big hammer and I lost consciousness. The army took me to a hospital when I came around after three days to find both my legs had been smashed to smithereens." 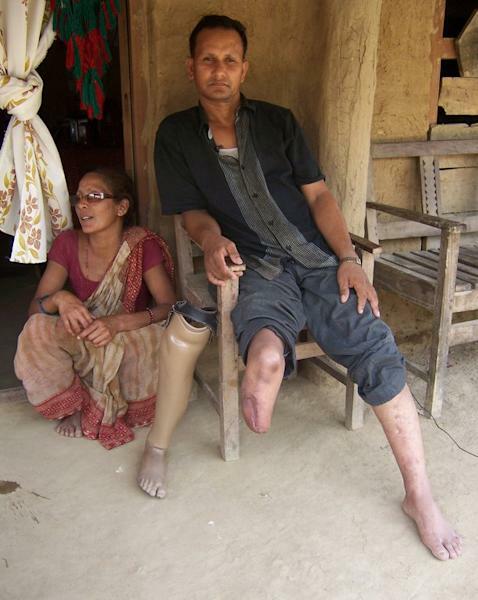 Ashok Sodari, 35, of Sanoshree village in the southern district of Bardiya, was also attacked by Maoists with axes, in 2001. "Six or seven girls entered my house, caught me and threw me outside. They kicked me on the chest seven or eight times with boots on. Then some of them tied my legs, pushed me on the ground, put this long stone beneath my leg -- the stone is still in our village -- and hit my leg with axes 12 or 13 times." Sondari was rushed to hospital but his right leg could not be saved. 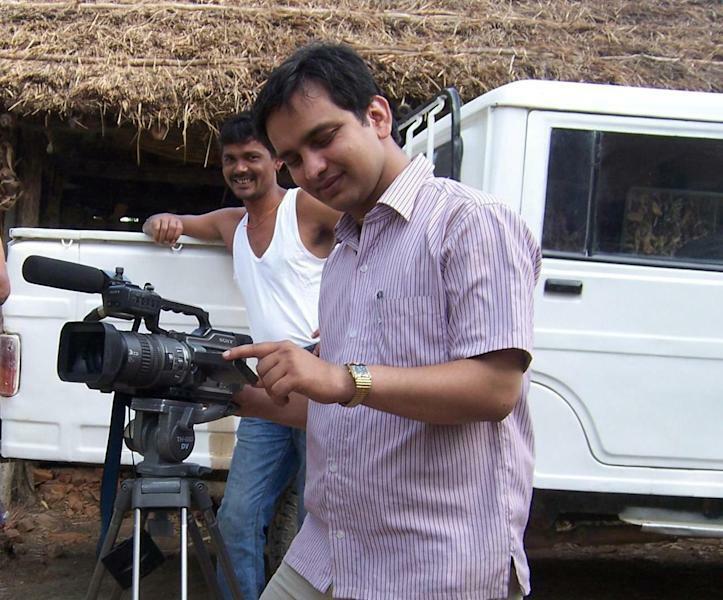 Many of the interviewees in Pandey's documentary are victims of the insurgency but the 29-year-old, who filmed his subjects over five months, insists that torture should not be seen as a relic of Nepal's dark past. "Now torture still happens in Nepal but the victims cannot open their mouths," Pandey told AFP at the recent Nepal Human Rights International Film Festival, where "The Resurrection" was being shown to Kathmandu audiences. 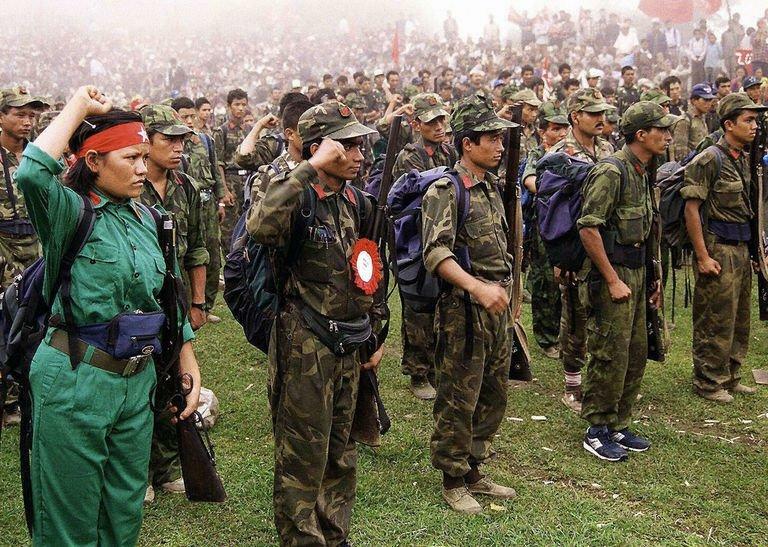 The Maoists, who now lead a caretaker administration, signed a peace accord with the government in November 2006, with both parties committing to making torturers accountable and recompensing victims of human rights abuses. Nepal's interim constitution identifies torture as a criminal offence but the restive Himalayan nation has passed no law providing penalties for torturers and victims have found it hard to get justice from the state. "In Nepal, there is still 100 percent impunity," said Mandira Sharma, chairwoman of rights group Advocacy Forum Nepal.